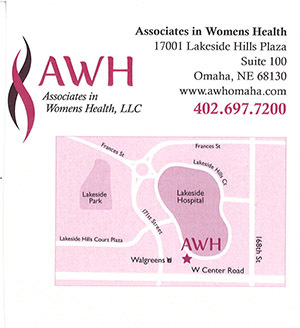 Associates in Womens Health is an OBGYN practice located in West Omaha, NE. Our providers are highly trained in providing care in all aspects of female health. We serve women throughout Omaha, NE and surrounding areas such as: Elkhorn, Bennington, Millard, Papillion and Bellevue. Our practice is located in the Lakeside Medical Plaza. 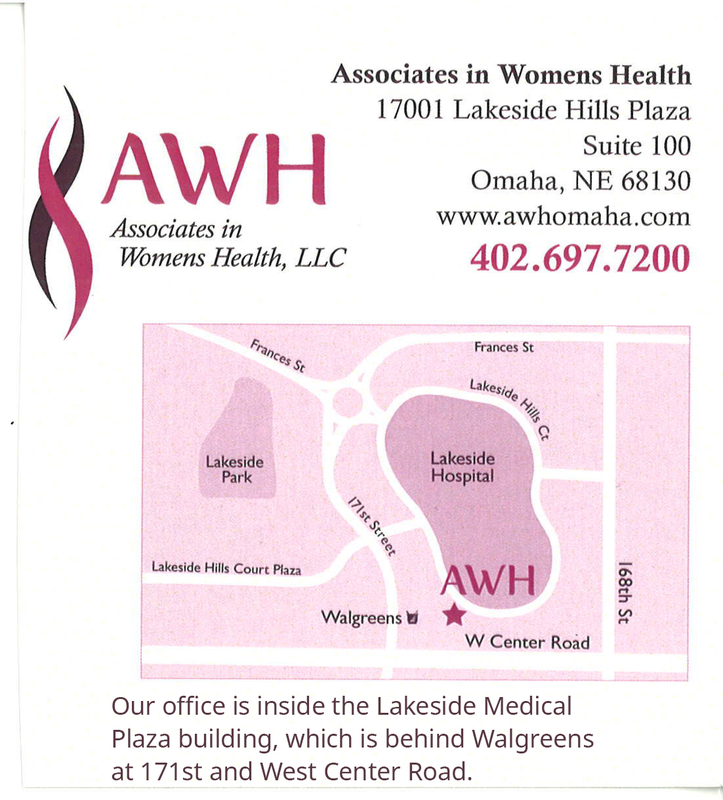 Our office is inside the Lakeside Medical Plaza building, which is behind Walgreen's at 171st and West Center Road.